You have the pleasure of having one of the most important jobs, you’re a parent. You are your child’s first teacher, friend, and confidant. Your children have changed your life ways you never imagined. Your children have shown you the true definition of unconditional love. They are teenagers! This is a time when your child’s body and brain goes through so many changes. Puberty brings not only physical changes but emotional changes as well. Ask almost any parent that has a child that has been diagnosed with a mental illness and they will tell you that they thought their child was just acting out, or that they would grow of the behavior. Parents don’t know what they don’t know. Often parents do not know the history of mental illness in their own family and are unaware of the early symptoms. We may think that since children are resilient that they are immune to trauma, they are not. Many parents are unaware that mental illnesses has an affect the brain, and there is no amount of punishment, spanking, talking to or prayer that can change that. Mental illness carries a stigma. The stigma of mental illness is so great that many refuse to believe that their child could be ill. It is natural that any parent would not their child to face discrimination and be shunned by friends and family. There is also a natural fear that they will be shunned because they have a child w/a mental illness. Parents, I want you all to know that mental illness is no different that any other illness, except how it affects the brain. The same way the heart, pancreas, liver or any other major organ can malfunction, so can the brain. The brain is such a necessary and complex organ that it can be affected by biological or environmental factors. Although there is no way to prevent a mental illness and the causes are uncertain, being aware is the key to early detection. Just as with any other serious illness, the sooner the diagnosis, the better off you and your child will be. Click here to see how the National Institute on Mental Health answered some common questions parents may have about children and mental health. Parents, what are your thoughts on mental health? What is the conversation like about mental illness in your home? Is there conversation, about mental health in your home? Do you know the thoughts you have about mental health and mental illness will more than likely pass on to your child? This letter is to ask that you use caution when discussing mental illness, no matter if it is a news story or within the family. It is not something that should be joked or laughed about; there should be feelings of empathy and understanding. I am asking that you take time ,to discuss not only their mental health but mental illnesses as well. I am asking that you take the time to use the news stories and TV show plots to talk about it. Encourage them to discuss how they are feeling and LISTEN to what they tell you. Please don’t be afraid to seek professional help, and please don’t be afraid to seek out information. 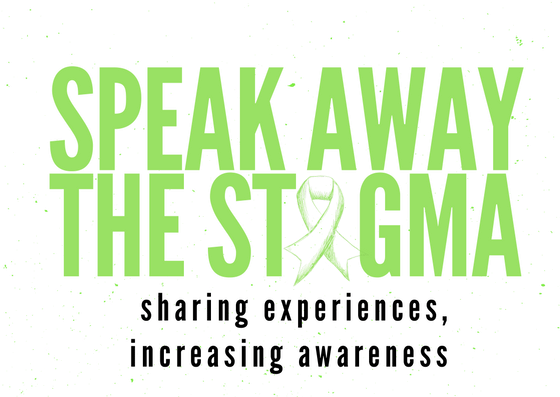 Next Next post: Dignity & Mental Health; Why awareness matters!